For a long time now, Becca and I have wanted a way to acknowledge the people who have helped us develop into stronger writers and who add to the writing community as a whole. As a new feature here at The Bookshelf Muse, Becca and I will take turns giving well-deserved recognition to some of the people who really make an impact…people who truly are Writing Heroes. It is a pleasure to start our 2012 Writing Heroes off with a bang, and that can mean only one person: Janice Hardy. Janice is simply one of the nicest and most giving authors out there. 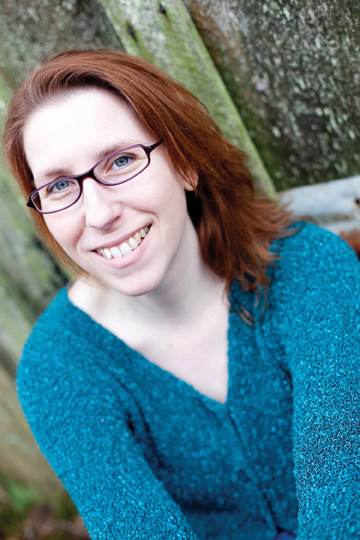 Not only does she run The Other Side of the Story, one of the most valuable blogs on writing I know, she is the author of an engaging Middle Grade trilogy, The Healing Wars. Janice has held her door open to me whenever I have needed help and has been an invaluable resource for my writing and my sanity (whether she knows or not!) She has incredible passion for writing, and her blog posts are always thoughtful and relevant to writers. Janice is not only writing savvy, she’s marketing savvy and is willing to pass on what she knows. When I asked if she might share what she did to steer her marketing efforts for The Healing Wars, she wrote not one but two great articles (part 1 & part 2) on what writers can do to take advantage of marketing opportunities. One of the things I admire most about Janice is how I see her interact online, but still PUT THE WRITING FIRST. She offers up an incredible blog (if you do not follow this blog, GO NOW! It is a go-to resource on all writing topics!) and utilizes social media. But, the way she organizes herself and her time she can be ‘out there’ but not let Social Networking demands control her. As someone always struggling for balance, I need to strive to be more like her. I love seeing people like Janice succeed–she works hard and gives back! Her Healing Wars Trilogy was an absolute pleasure to read and I can’t wait to see what she comes out with next. If you’re looking for a great Middle Grade read that has an unusual form of magic and a compelling main character, definitely check Janice’s books out. Don’t forget to follow her on Twitter and visit her Facebook page if you like! Thank you Janice, for being one of my WRITING HEROES. You inspire me, woman! To pay it forward, Becca or I will give a 1000 word critique to each Writing Hero we profile. These writers can then choose to keep it for themselves or offer it as a giveaway on their blog! All writing heroes will also have a permanent link in our header! So tell me Musers…do you know Janice? Has she helped you or your writing in some way? Please tell us in the comments and help celebrate this amazing WRITING HERO! Thanks for the intro. A tasty new trilogy for my classroom and a cool new blog to dive into. Does it get better than this? This is a great blog feature and so informative. I’m going to follow Janice’s blog as well! I’ve been following Janice’s blog for a little while now, and I’ll say that I’ve found it to be an extremely helpful resource. If I’m having trouble figuring something out, particularly with plotting devices or better writing techniques, I can usually find what I’m looking for there. Janice’s blog was one of the first I followed online. I love it and her advice has helped my writing immensely. Thanks, for honouring her. She truly deserves it. When I found Janice’s blog, it was like someone had given me a raft to wade through the writing ocean (a cheesy analogy, I know, but it’s true!) What I admire most about Janice (aside from her writing ability–those who haven’t read the Healing Wars yet are really missing out) is her ability to give personable, genuine feedback. You rock, Janice! I’m also a Janice fan! I don’t think you could have picked a better author to spotlight. Love this feature! Will be back often!!! I love Janice’s blog. She gives fantastic writing advice. I still need to check out her books. They sounds really fun. Janice! Oh, yay! Love her blog, love her books! And if you win her critique, you will know the meaning of life-changing. Every word Janice writes is a gem, and she is so generous with her time and commitment to the writing community. Thank you Janice, you’re extraordinary. Janice totally rocks. Her blog has been an invaluable writing resource, and she’s incredibly nice & genuine on Twitter & her blog. Yay, Janice! Congrats! I’ve been following Janice’s blog for several months and she really does offer the best advice. Her blog posts are so helpful, and she’s quick to respond to emails. Truly deserved. Congrats, Janice! I don’t know her, but I respect your blog enough to know that, if you recommend her, she must be good. This is a great new feature. I love these features you’re doing!! They introduce me to new people who can help me stay on the road to publication and enjoy my drive there!! Janice is my #1, go to, always read, bookmark and at often study writing guru and has been since the day I found her site. Absolutely the best! What a lovely testimonial! I have signed up for Janice’s blog. Janice gave me some amzing adivice on the opening sentences of my WIP. I thought it was just what the MS needed. Thank you all for the kind words 🙂 It makes me so happy to hear the blog has helped so many. It’s a labor of love, but totally worth it. When you pick a hero, you pick a wonderful one. I’ve been meaning to read these. Thank you so much for the reminder! Janice sounds like a fantastic lady. I can’t think of a better writing hero. Her blog posts are amazing. Better than the advice I’ve found in many how-to books. This was such a great idea, it is nice to celebrate the writer’s who have inspired us. I love Janice Hardy’s books! Janice is incredibly kind and encouraging, and her blog is the writing resource I check the most often! I agree with everyone else. Janice’s blog is absolutely wonderful! Janice is fantastic! Her blogposts have helped me around many a road-block, and she’s got the nicest personality. Definitely a writer to admire. 🙂 Thanks Janice! I love Janice, and her excellent blog. I know she has touched so many writers’ lives in such a supportive, positive way! I just discovered her blog recently and it really is the best! Janice, you are such a talented and giving force. It’s an honor to know you! Janice’s blog is fabulous. I’m always amazed at the depth and breadth of the information she has on there. I love this feature. I do follow Janice and LOVE all the advice she gives. Janice Hardy’s blog is amazing! She offers so much to the writing community and I really admire her. I like this new feature you have introduced. Janice sounds wonderful. It would be nice to meet another MG writer. I was not aware of Janice’s blog, but I have it bookmarked now, but I am an avid fan as I am currently reading the second book of the Healing Wars, with the third waiting patiently in line. I am only just beginning my writing journey and more than once I have found valuable information via Janice Hardy and her writing website. This honor is well deserved for her! Oh wow…I don’t even know what to say! I’m blown away by this. (reaches for a tissue). Thank you *so* much! You guys are the real heroes. You run an amazing blog and are so generous with other writers and bloggers. You’ve been supportive of me from the start and I can’t say how much I’ve appreciated this over the last few years. You guys rock. Janice’s post are always so well done and so professional. She is awesome. A perfect writer and blogger to have as a hero. Great choice! Ange raves about you frequently, Janice, so thank you for all that you do! Such an awesome choice. I love Janice’s books and her blogs. She’s been so giving in letting me interview her when her books have come out. And she shares amazing tips on writing on her blog. Can’t say enough good about her. I love Janice’s blog, always chock full of terrific writing info! And I can’t believe there are people out there that haven’t heard of her blog! Congrats Janice! What a fabulous new feature! Thank you for introducing me to Janice. I am going now to follow her blog!